This iPhone wall charger folds up to fit in your pocket or on your keychain. Having an iPhone is convenient — until you need to charge it. The standard charging brick and Lightning cable combo means you’ve gotta make space in your bag to travel with the phone in your pocket. Chargerito is a compact and cordless charger that makes keeping your iPhone juiced an afterthought. 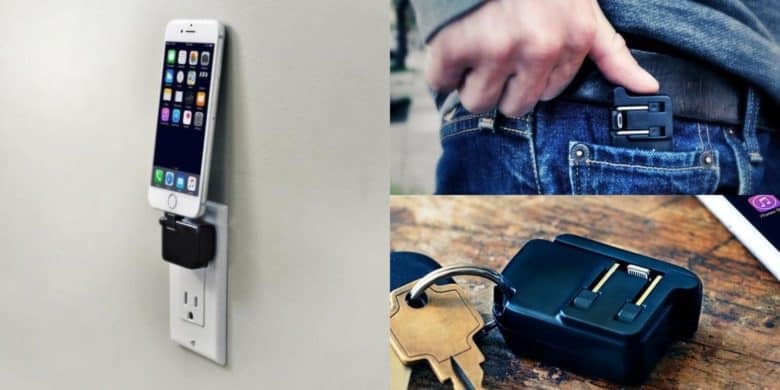 This compact wall charger fits on your keychain, without any bulky batteries or tangle-y cables. Just unfold the prongs when it’s time to charge up, and fold them up when you’re done. The Chargerito sits flush to the wall, and your phone sits right on top, keeping it off the floor and out of the way. That means less clutter in your bag and on the desk. Buy now: Pick up a Chargerito for just $29.99 at the Cult of Mac Store.